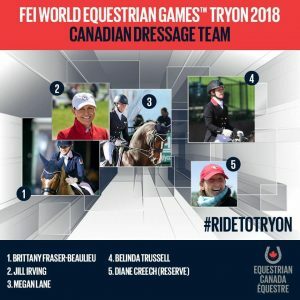 One of the Dressage world’s shining stars, Belinda has represented Canada at two Olympic Games, the World Cup, three World Equestrian Games, and the European Championships. 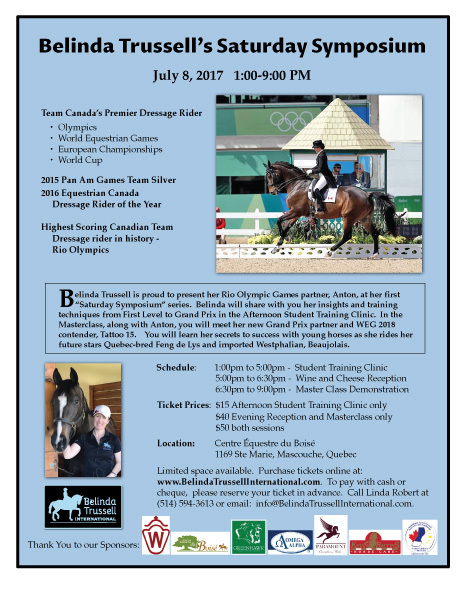 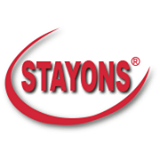 She was a member of the Silver Medal winning team at the 2015 Pan American Games. 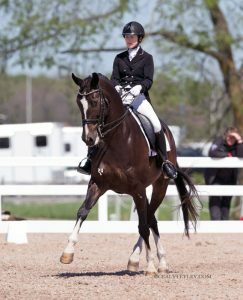 An elite rider in every sense of the word, Belinda has a sixth sense for competition riding that allows her not only to excel with her own horses, but to share her wisdom and competition strategies to guide her students to success after success in the show ring. 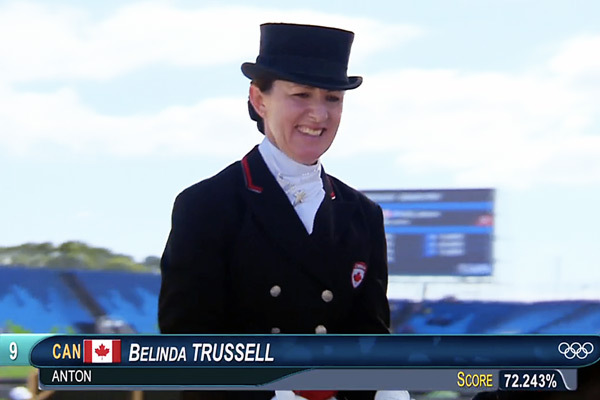 Equestrian Canada honoured Belinda as Canadian Dressage Athlete of the Year for 2016. 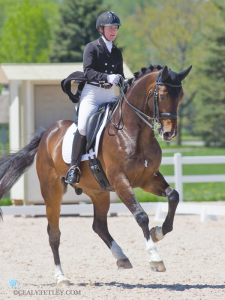 Thank you to all who helped make the first Saturday Symposium a resounding success: Sponsors, volunteers, riders, attendees, and of course, Belinda!